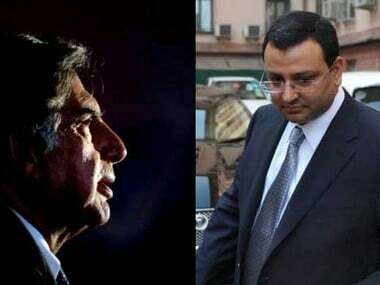 Mumbai - Shareholders of the Tata group's crown jewel TCS will today vote on a resolution to remove Cyrus Mistry as the company's director -- a crucial test for both Ratan Tata and the ousted Tata Sons chairman in their ongoing board room war. The result would influence the fate of Mistry, who was on Monday removed as director and Chairman of Tata Industries following shareholders' vote, first such instance of the embattled executive being ousted from the board since his removal as Tata Group chairman in October. 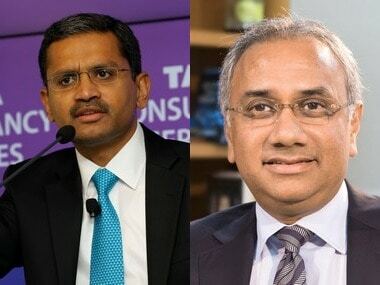 On 17 November, TCS board decided to call Extraordinary General Meeting (EGM) "pursuant to the Special Notice & Requisition dated November 9, 2016 sent by Tata Sons, shareholder of the company holding 73.26 per cent of the paid-up equity share capital of the company". Tuesday's voting by TCS shareholders will be the first of six such EGMs called by major listed firms -- Indian Hotels Co Ltd (December 20), Tata Steel (December 21), Tata Motors (December 22), Tata Chemicals (December 23) and Tata Power (December 26) -- to seek Mistry's ouster as director. In case of Tata Motors, Tata Steel and Tata Chemicals, the shareholders will also be voting for a resolution moved by Tata Sons to remove Nusli Wadia as independent director. While institutional investors are gearing up for the big showdown in the Tata boardrooms, advisory firms and governance experts are taking considered views on emerging scenario. JN Gupta, founder of SES, a proxy advisory firm, has told The Economic Times that a divided board is not strong and certainly a threat to shareholders’ interest. “Are the board members ensuring justice for an individual or protecting the interest of stakeholders?” he has been quoted as saying in a report. To be sure, a quick resolution to the issue is in the interest of the shareholders. Tata Sons seeks to pass a shareholder resolution for removal of Mistry as director after removing him as Chairman on 10 November, replacing him with Ishaat Hussain. It had made use of one of the statutes that makes it possible to nominate the chairman of the board, while replacing Mistry with group veteran Hussain. He had even alleged that Tata once tried to sell the IT firm to IBM and his "ego" led to bad business decisions like Corus acquisition at double the original cost. 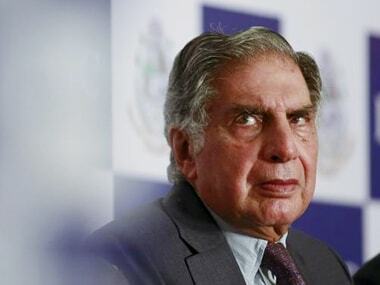 However, he changed his stance later stating his statement was based on "information from sources who were close to JRD Tata who informed him that it was Ratan Tata's intention, and not the group's intention, to sell TCS". Tata Sons has been stepping up the pressure on Mistry ever since he was sacked as Chairman of the company on October 24. It had made several allegations against Mistry, including betraying trust and trying to gain control of major operating firms, concentrating powers and using free-hand given to him to weaken management structures of the Tata Group. Last week, in a letter to shareholders of the companies, Tata stated that the continued presence of Mistry in their respective boards was a serious "disruptive influence" and could make the companies "dysfunctional". Market observers said the voting pattern of the non-promoter group will give an indication of the level of support Mistry enjoys from shareholders in general, which in turn could set the tone for other such EGMs that are to follow. Mistry has vehemently denied all the allegations and stated that he was pushed to the position of a "lame duck chairman" and changes in the decision making process created "alternate power centres" in Tata Group. In a dig at Tata, he also alleged that individuals prone to "impulsive control" have exposed the Tata Group to perilous violation of regulatory requirements and his fight was to protect the conglomerate from "capricious" decision-making by Interim Chairman Ratan Tata.